Four of Team Scotland’s Gold Coast 2018 squash contingent take their place in a bumper draw for this weekend’s (Friday 24th – Sunday 26th August) Sterling Trucks Scottish National Championships. The tournament, postponed due to adverse weather back in March, will be held at Edinburgh Sports Club with Scotland’s leading lights competing. It combines as the first Senior Gold event of the 2018/19 season. 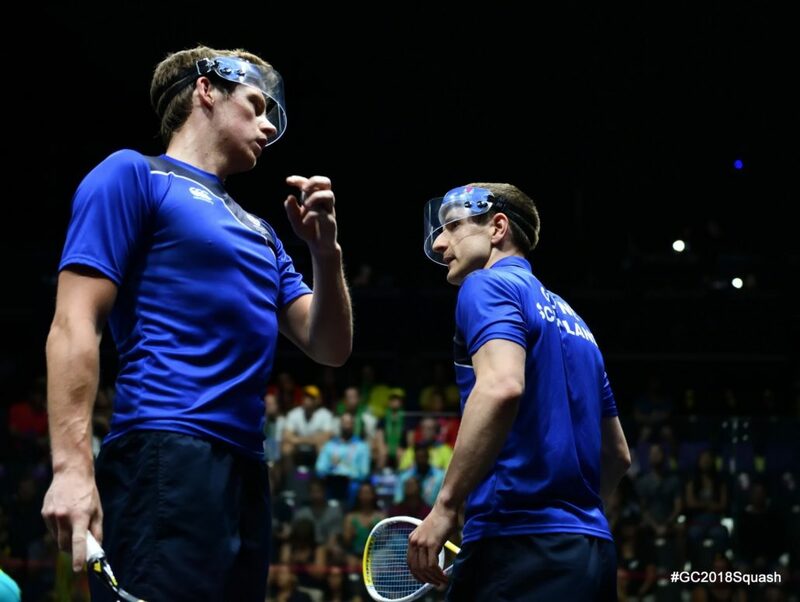 Defending champion Alan Clyne is aiming for an eighth national men’s title and comes into the tournament as second seed behind close friend and Team Scotland doubles partner Greg Lobban. 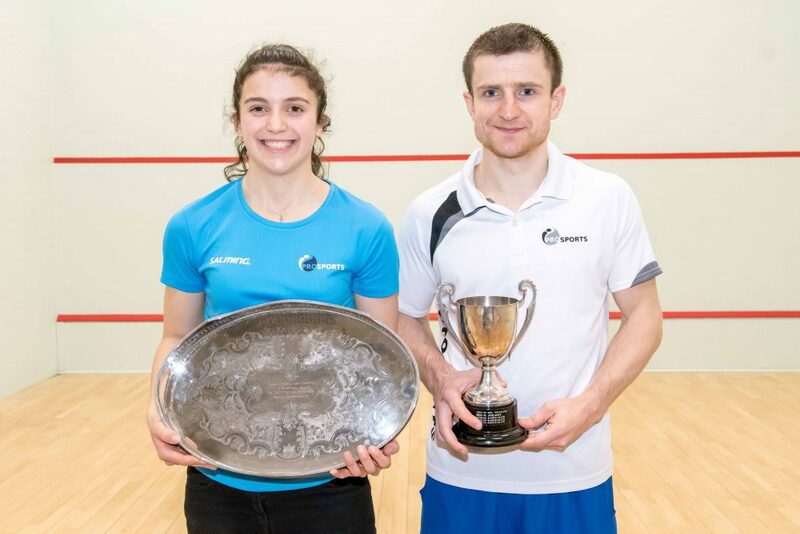 A new face to home supporters will be Doncaster-born Angus Gillams who is competing in his first national championships having joined the PSA World Tour in 2012. The 23-year-old, eligible to play for Scotland through his mother, is third seed and comes into the event in good form having won the $10k Men’s SquashXL Open in Auckland, New Zealand last month. Scottish National Doubles champion Douglas Kempsell is fourth seed with European Team Championship youngsters Rory Stewart and Stuart George fifth and sixth seeds respectively. Teenagers Chris Murphy, John Meehan and Alasdair Prott will look to make their mark having recently competed at the World Junior Championships in India. 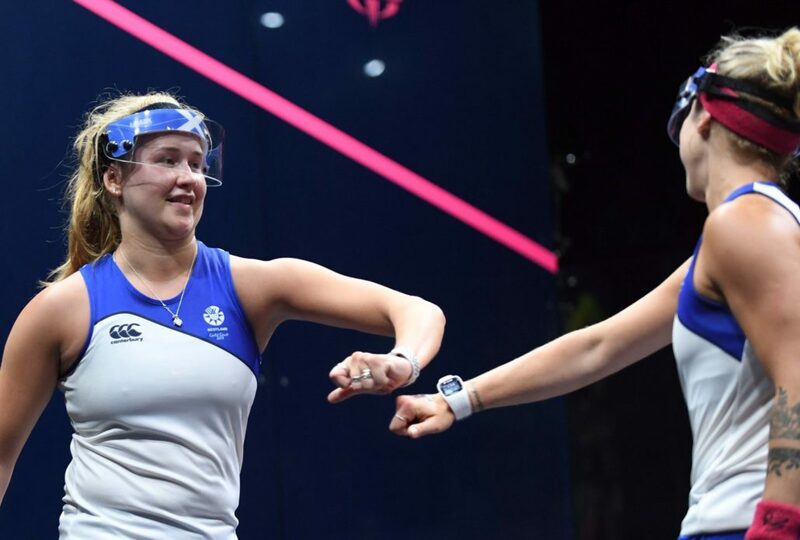 Scottish National Champion Georgia Adderley is aiming to defend her women’s title this weekend but admits she has her work cut out given the strong field for this year’s women’s event. 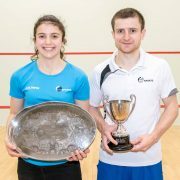 Adderley won her first senior national title in March 2017, aged 16, beating Elspeth Young 11-4, 5-11, 11-6, 12-10 in the final. Last year she was top seed but with Gold Coast Commonwealth Games pair Lisa Aitken (1) and Alison Thomson (2), below, fit and competing in the 2018 edition of the Sterling Trucks Scottish National Championships, she comes into the event seeded three with Katriona Allen fourth seed. “I’m really looking forward to it and it’s great for the event that there is such a strong field.” Adderley said. “I am excited to play at my home club and bring to the tournament a lot of things I’ve been working on over the summer. 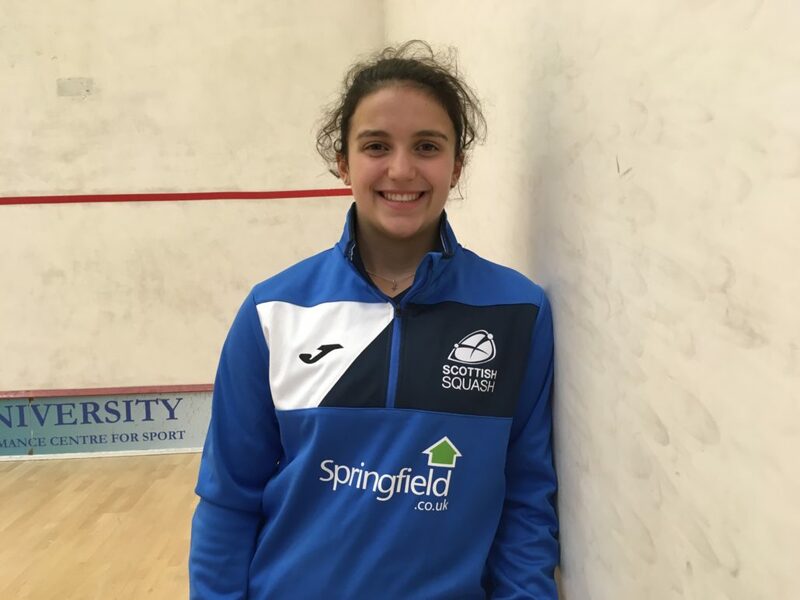 Georgia finished a creditable 13th overall at her maiden World U19 Junior Championships in Chennai, India last month narrowly missing out on a quarter-final place losing a tight last 16 match to USA starlet Marina Stefanoni. Coupled with a productive pre-season under her belt, she feels her game’s in good shape ahead of the weekend. “India was an incredible experience, a place I had never been before,” the GU17 British Junior Champion added. “Culturally it was very different and I had to think about hydrating a lot more due to the heat and conditions which are so different to home. “I was happy with the end result. I played some of my best ever squash and a lot of things I have been focusing on during training came together. “I was really close to winning my round of 16 match and it was disappointing to lose a hard fought battle but I felt like I played well and learnt a lot. The Men’s and Ladies draws for the 2018 Sterling Trucks Scottish National Championships can be viewed below. Results during the weekend can be tracked through SportyHQ. Spectating is free of charge all weekend at Edinburgh Sports Club with the action getting underway at 4pm on Friday.